Steve "Speed" Ball is the father to CRA/SCRA Driver Tom "T" Ball from Albuquerque, New Mexico. Mr. Ball lost a battle with Leukemia on March 6, 2002 at the age of 67. 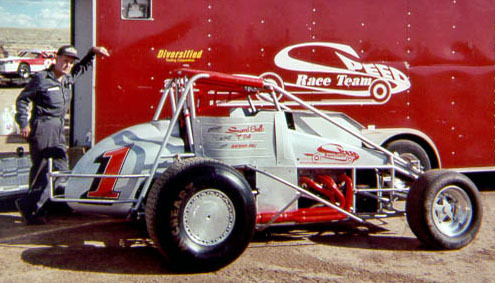 Up until last year, "Speed" was actively racing his sprint car with the New Mexico Motor Racing Association (NMMRA) at Duke City Speedway in Albuquerque. Tom, his dad, and grandfather were sprint car drivers. Many years ago, all 3 of them competed in New Mexico together.